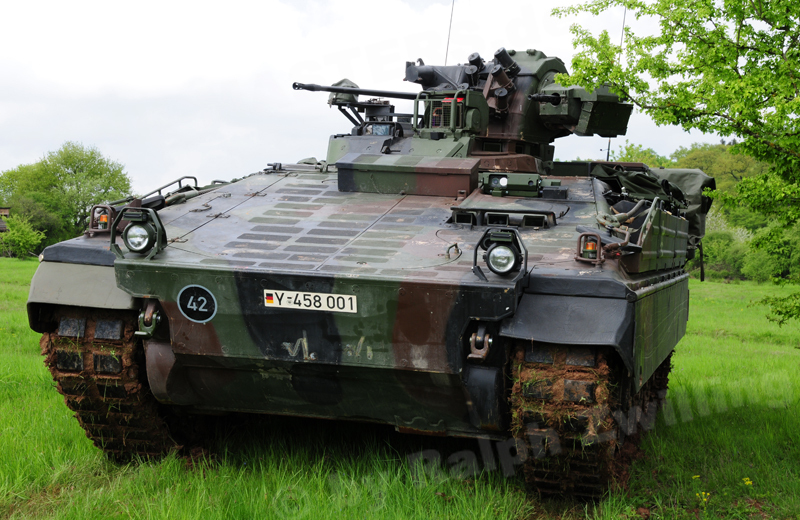 Despite the fact that the Marder 1A5 AIFV proved itself right from the beginning of its Afghanistan deployment, it soon became clear that the vehicle needed an air-conditioning system. Another problem when using the vehicles were remote-controlled IEDs (RCIED). 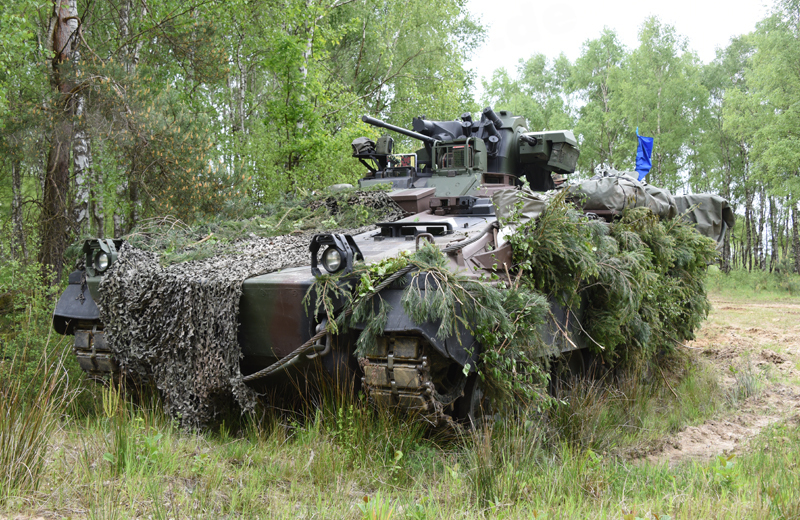 To address operational requirements, the decision was made in October 2009 to fit ten Marder 1A5s with an air-conditioning system and the CG-12 electronic countermeasure (ECM) system under an urgent operational requirement programm. The air-conditioning system mounted on the rear left of the vehicle has a cooling power of 6.5kW and it is able to establish a 18°C difference between outside and internal temperatures. A little bit later, the number of vehicles earmarked for modification was raised from ten to 35. 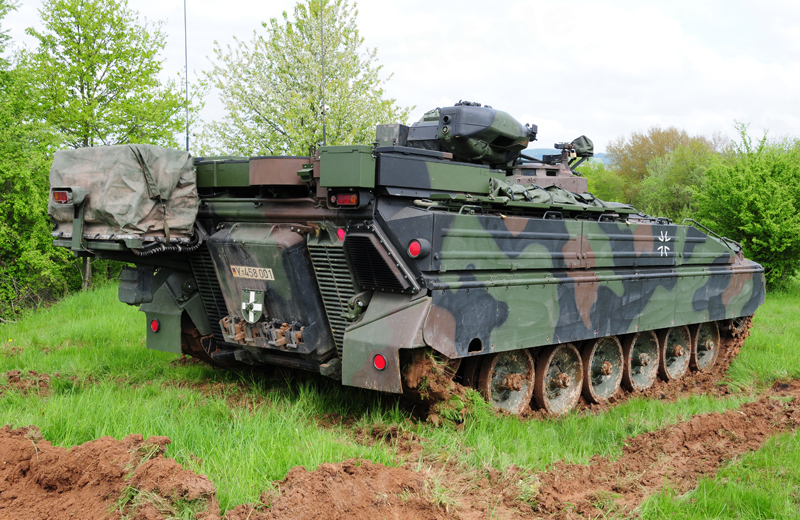 The first modified vehicles were fielded by the German International Security Assistance Force (ISAF) contingent in Afghanistan in December 2010, and they were now designated Marder 1A5A1 AIFVs. In total, 25 of 35 vehicles were sent to Afghanistan while the remainder was used in Germany for training and functioned as a maintenance reserve. On 2 June 2011 one vehicle was destroyed during a deadly IED attack. The driver was killed and two other soldiers were severely wounded. Due to lessons learned during the ISAF mission, from late 2013 the vehicles were equipped with new stand-off armour around the rear roof hatches, a new storage concept inside the vehicle and on top of the upper hull, a fire suppression system in the fighting compartment, the SPECTUS multispectral driver’s sight behind the driver’s hatch, and a new squad leader’s standing platform. The latter resulted in a reduction in the number of dismounts in the rear fighting compartment from six to three. 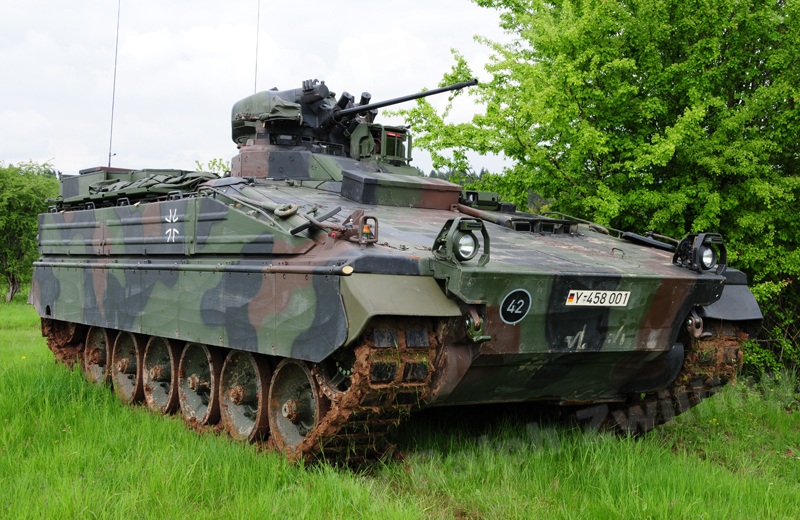 After the modification, Marder 1A5A1 AIFVs are essentially used as over-heavy weapon carriers and supply vehicles. The main armament consists of the MK 20mm Rh 202 automatic cannon, the coaxial 7.62mm x 51 MG3 Maschine Gun and the 76mm smoke grenade discharger system with six launchers.